Born: 3 March 1856, Kirkcudbright, Scotland, United Kingdom. Died: 5 October 1917, Pietermaritzburg, South Africa. James Hyslop, son of Thomas Hyslop, qualified as Bachelor of Medicine (MB) and Master of Surgery (CM) at the University of Edinburgh in 1879, and subsequently studied mental disease in Berlin, Vienna and Munich. He became a member of the British Medical Association and the Medico-Psychological Society and worked in two Scottish mental hospitals, the Border Counties Asylum at Melrose, and the Morningside Asylum near Edinburgh. In 1881 he published a paper, "On Guddens method in the investigation of the anatomy of the central nervous system", in the Journal of Mental Science. The next year he married Christina F.C.E. Brown. In 1881 Hyslop emigrated to Natal, where he was licensed to practise in August that year. The previous month he had already been appointed as resident surgeon (later medical superintendent) of the Pietermaritzburg Lunatic Asylum (later renamed the Natal Government Asylum) at Town Hill, Pietermaritzburg, a post he held until he retired in 1914. Here he became one of the country's pioneer specialists in the field of mental diseases. His efforts led to the promulgation of Law No. 9 of 1891, which brought legislation pertaining to the mentally ill up to date and in line with the corresponding legislation of the Cape Colony. Advocating the emerging modern view that pleasant surroundings improved the condition of the mentally ill, his efforts led to the modernisation of Town Hill Hospital. Improving the institution became his life-long hobby; thus he developed the gardens, cultivated vegetables, established an orchard and nursery, and organised a dairy. His belief that overcrowding incresed the mortality rate among patients led to the erection of additional buildings. In 1898 a post-mortem room and laboratory were built. Hyslop hoped that post-mortem investigations would throw some light on the causes of mental illness. However, research on the minute pathological changes reported in the brains of psychiatric patients was becoming quite specialised. He therefore obtained six months leave of absence during 1898 to study the latest methods in brain pathology at the Central Laboratory of the Scotish Asylums, becoming the first person not connected with Scottish asylums to be allowed to do so. As a result of his efforts Natal's mental services were among the best in southern Africa. He retired from his post in 1914 as the doyen of the medical profession in Natal. Hyslop was active also in military medicine. From 1886 he acted as surgeon to the Natal Carbineers. 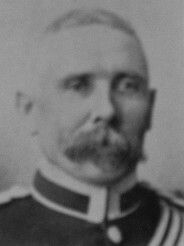 During the Anglo-Boer War (1899-1902) he served as principal medical officer, with the rank of major, in command of the Natal Volunteer Medical Corps. He was promoted to lieutenant-colonel in 1900, received the Queen's Medal with two clasps, and was created a companion of the Distinguished Service Order (DSO) in April 1901. In 1906 he served during the Bambatha Rebellion and during World War I (1914-1918) rose to deputy director of medical services in the South African Medical Corps, with his headquarters in Durban. He was released from medical service in August 1917 for health reasons and died two months later. Hyslop also played an active role in organised medicine. When the Pietermaritzburg Medical Society was formed in December 1894 he was a member of its first executive committee and became its president in July 1896. That same year he was appointed as the first president of the Natal Medical Council, a position he held until his death. He was furthermore the first president of the Natal branch of the British Medical Association. In January 1899 he was the Natal delegate to the Pretoria plague conference and later that year chaired a similar conference in Durban. He became a member of the Natal Board of Health in 1901, and its chairman in 1903. In 1905 he presided over the seventh South African medical congress, held in Pietermaritzburg. Hyslop represented Natal on the council of the University of the Cape of Good Hope from 1905 to 1918 and was a leading figure in several societies. During 1891-1892 he was president of the Natal Horticultural Society. From 1892 he was a trustee or committee member of the Pietermaritzburg Botanic Society, serving as its president around 1898. As a member of the Natal Society he served on its museum committee from 1893 for several years, and a few years later as the society's president. After the society's museum was taken over by the government and became the Natal Museum in 1903 he served as a member of its board of trustees. In 1907 he was president of the South African Association for the Advancement of Science when it held its annual congress in Natal. Outside science and medicine he was interested in sport and photography. Burrows, E.H. A history of medicine in South Africa. Cape Town: Balkema, 1958. Creagh, O'M. and Humphris, E.M. The Distinguished Service Order, 1886-1923. London: J.B. Hayward, 1978. Laidler, P.W. & Gelfand, M. South Africa, its medical history 1652-1898. Cape Town: Struik, 1971. Minde, M. Early psychiatry in Natal. South African Medical Journal, 1956, Vol. 30, pp. 287-291. Natal [Colony]. Annual report of the Natal Medical Council, 1896, 1897, 1899, 1901, 1902. Natal Colony. Departmental reports, 1904: Natal medical, dental, pharmacy and veterinary register, 1904. Natal [Colony]. Report of the Medical Superintendent, Natal Government Asylum, 1898, 1901-1904, 1908. Natal almanac, directory and yearly register, 1892, 1893, 1898, 1899, 1909. Natal Society. Rules for the regulation, government, and management of.... Pietermaritzburg: Natal Society, . National Automated Archival Information Retrieval System (NAAIRS). http://www.national.archives.gov.za/naairs.htm Documents relating to James Hyslop / J. Hyslop / Dr Hyslop. Obituary: Col. James Hyslop. South African Journal of Science, 1917, Vol. 14, pp. 312-314. Pietermaritzburg Horticultural Society. Summary of activities, 1863-1980. Pietermaritzburg: The Society, 1982. (Natal Society reference library, Pietermaritzburg). South African Association for the Advancement of Science. Report, 1907. South African Medical Journal, 1894, Vol. 2, p. 225, "Maritzburg Medical Society"; 1896, Vol. 4, pp. 100-101, "Report by the honorary secretary of the Pietermaritzburg Medical Society...". University of the Cape of Good Hope. Calendar, 1906/7-1917/8.